What Do I Tell My Son about Tom Brady? Like all New Englanders I currently feel under siege. The hate for the New England Patriots, Bill Belichick and Tom Brady is at epic levels. Of course this has been going on for years. People are bored with the Patriots’ winning ways, and I don’t blame them. If I lived anywhere other than New England I would feel the same. But what about the absurd questions posed by the press, such as the Boston Globe, about how we should talk to children about the deflation fiasco? Give me a break!! I’m worried about my son seeing images of ISIS, economic despair and government corruption. These are the “wrongs” that mandate parent mediation. 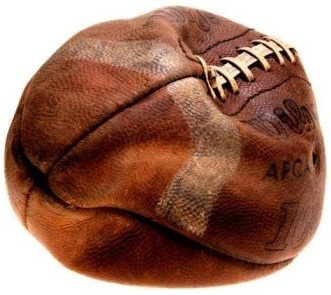 Whatever happened to the Patriots’ footballs is of little consequence. In my family, it’s fodder for breakfast time jokes, rather than serious discussion about personal integrity. I have no idea what the truth is, although Brady has always been a stand-up guy. Even if the Patriots lose the Super Bowl, pay a big fine, and lose a draft pick, I’ll still feel much less worried about the meaning of this event to my son than many other issues. The biggest scandal regarding deflategate is not what happened and who is responsible. It’s how big a story we have collectively made this trivial issue. Why have we allowed sports to loom so large in our consciousness? Doesn’t this tell us something about how lopsided extracurricular options are in school? Is it time to admit we are over-identified with athletes, and that we are addicted – in unhealthy ways – to sports?